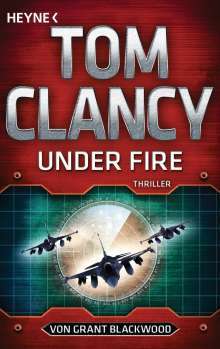 Der Artikel Tom Clancy: Under Fire wurde in den Warenkorb gelegt. Twenty years ago Tom Clancy was a Maryland insurance broker with a passion for naval history. Years before he had been an English major at Baltimore's Loyola College and had always dreamed of writing a novel. His first effort, The Hunt for Red October, sold briskly as a result of rave reviews, then catapulted onto the New York Times bestseller list after President Reagan pronounced it 'the perfect yarn.' Since then Clancy has established himself as an undisputed master at blending exceptional realism and authenticity, intricate plotting, and razor-sharp suspense. Grant Blackwood , a U.S. Navy veteran, spent three years aboard a guided missile frigate as operations specialist and pilot rescue swimmer. He lived in Colorado. Tom Clancy died in 2013.